Confirmed Region A locked. Would not play on a Region B player. 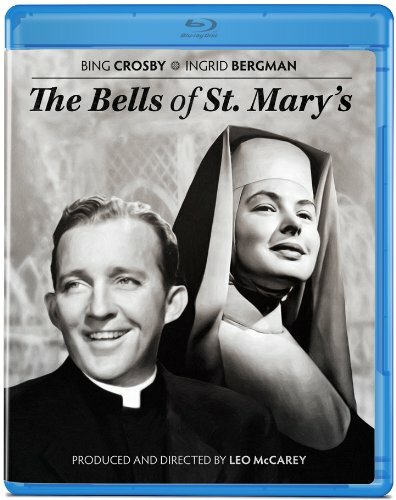 Witty, heartwarming and one of the most beloved classics of all time, The Bells of St. Mary's delivers all the entertainment of its predecessor, the award winning Going My Way. Bing Crosby recreates his Oscarr-winning (Best Actor) role as parish priest Father O'Malley. The easy-going O'Malley is sent to revive a financially ailing parochial school and immediately finds himself at odds with no-nonsense Sister Benedict (Ingrid Bergman, Arch of Triumph) on how to educate the children. Beyond their delightful battle of wits lies a bigger problem--the skinflint businessman next door (Henry Travers, It's A Wonderful Life) wants St. Mary's condemned, so he can build a parking lot for his employees. Only a miracle can save St. Mary's now . how a devilish situation finds a heavenly solution remains to be seen in this captivating family classic that was nominated for eight Oscarsr, including Best Picture, Best Director, Best Actor and Best Actress. Directed by Leo McCarey (Going My Way, My Son John).